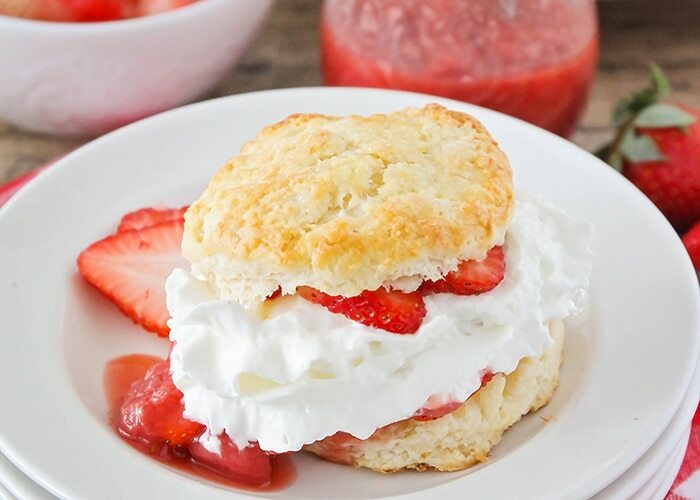 Simple Strawberry Shortcake – sweet, tender biscuits topped with strawberry sauce, fresh strawberries, and whipped cream. 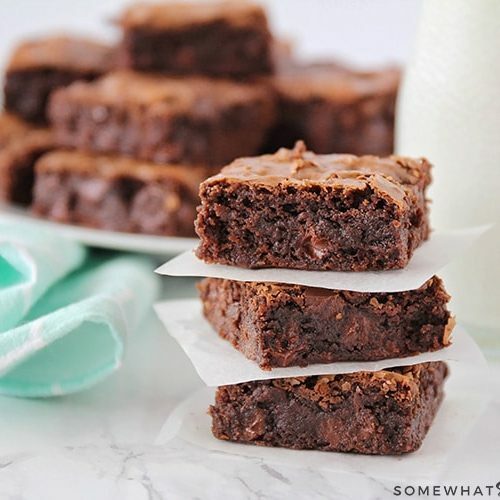 The perfect spring dessert! When it comes to delicious desserts, the more fruit, the better! Apple Crisp, Banana Ice Cream and Lemon Cheesecake Mousse are some of our favorites! 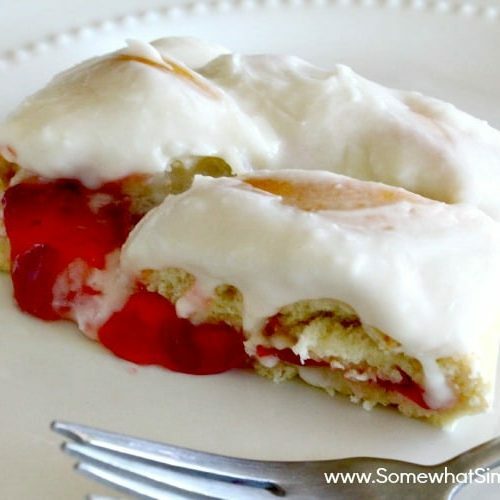 This easy Strawberry Shortcake tops our list – fresh, delicious and simple to make! Is there anything better than that? After a winter full of heavier comfort foods, it’s such a delightful change to eat something light and fresh. 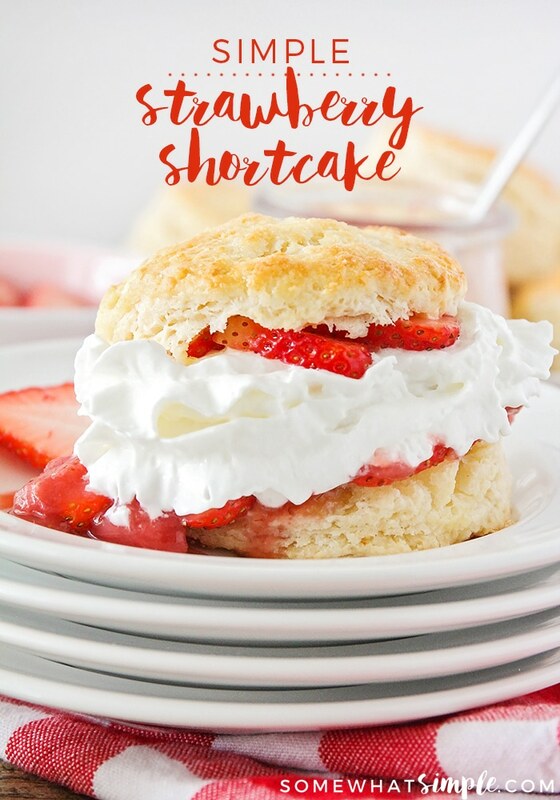 This easy strawberry shortcake is simple and easy to make, loaded with strawberries, and incredibly delicious! 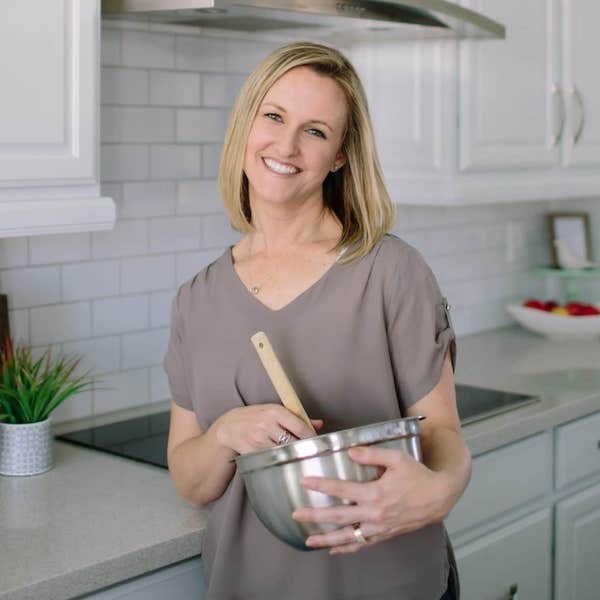 It’s perfect for any occasion, from a simple weeknight dessert, a romantic Valentine’s dinner for two, or a delicious Mother’s Day brunch. 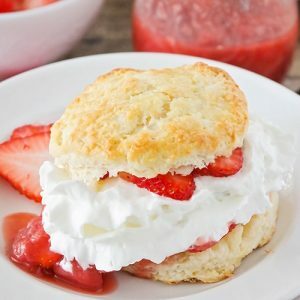 Simple Strawberry Shortcake - sweet, tender biscuits topped with strawberry sauce, fresh strawberries, and whipped cream. 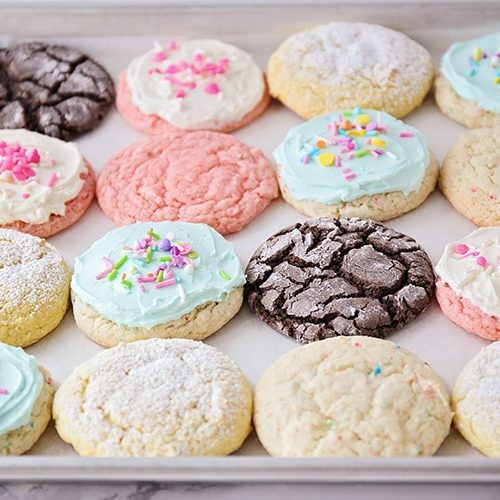 The perfect spring dessert! Preheat the oven to 450. 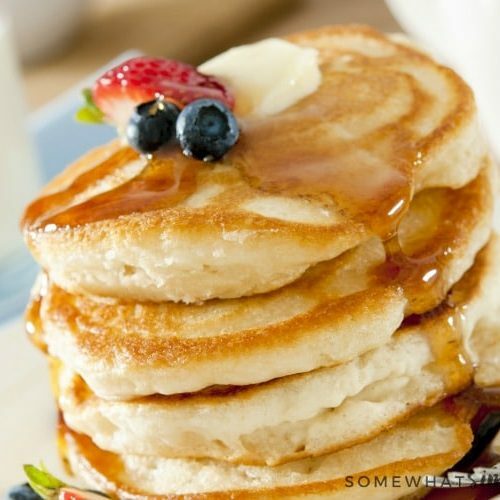 In a medium bowl, whisk together the flour, 1/4 cup sugar, baking powder, and salt. Grate the butter into the flour and toss to combine. Stir together the half and half and vinegar, and let sit five minutes. Pour the half and half into the dry ingredients and mix just until the dough comes together. Pat the dough out to an even layer, about one inch thick, on a lightly floured surface. Fold the dough into thirds, as though you are folding a letter. Pat the dough out again until it is about one inch thick. Cut into circles using a biscuit cutter or small cup. Bake 10-12 minutes, or until golden brown on top. 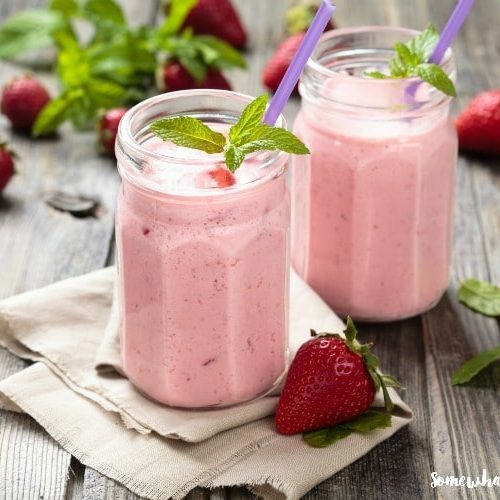 To make the strawberry sauce, combine 1 pound of strawberries with the sugar and lemon juice in a medium saucepan. Bring to a simmer and cook 5-7 minutes, stirring occasionally, until slightly thickened. Let cool ten minutes. 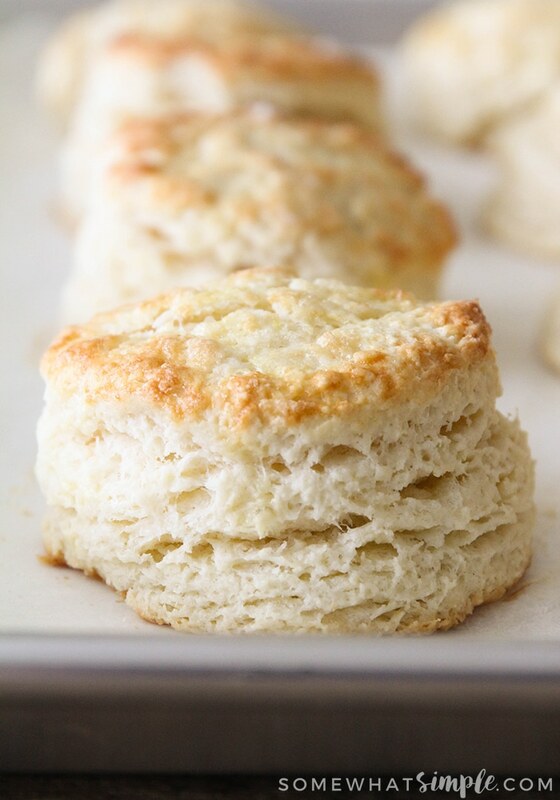 To serve the shortcakes, cut the biscuits in half horizontally. Top with remaining strawberry slices, warm strawberry sauce, and whipped cream. YUM! 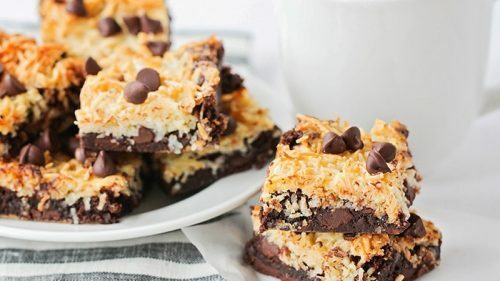 Looks so easy and delicious! I love that you made the biscuits for this too. I’ll be dreaming of summertime with every bite. 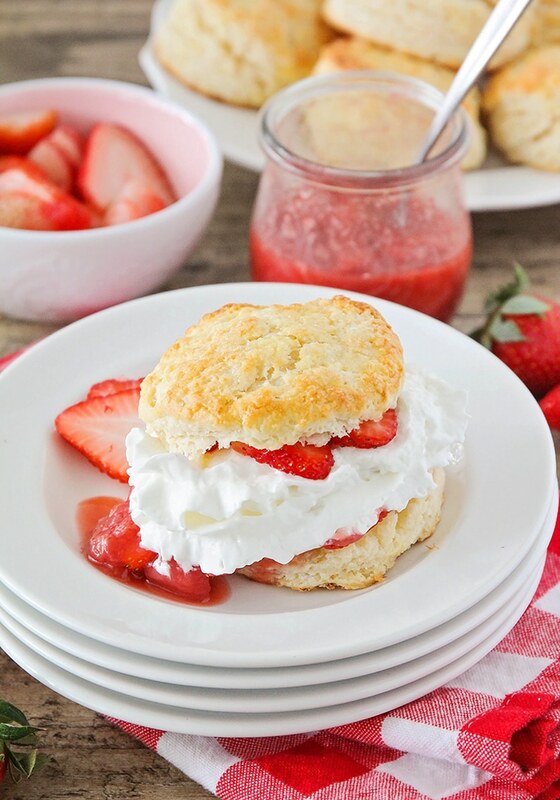 We love strawberry shortcakes as an afternoon treat during weekends! They are so delicious! I can’t believe how simple you make this look! I can’t wait to make it! LOL, thanks Lauren! 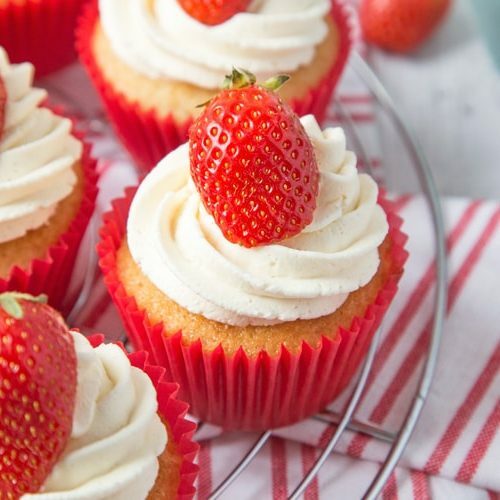 This strawberry shortcake recipe really is as easy as it looks! Let me know how they turn out. Pinning this for my summer parties. Yum! 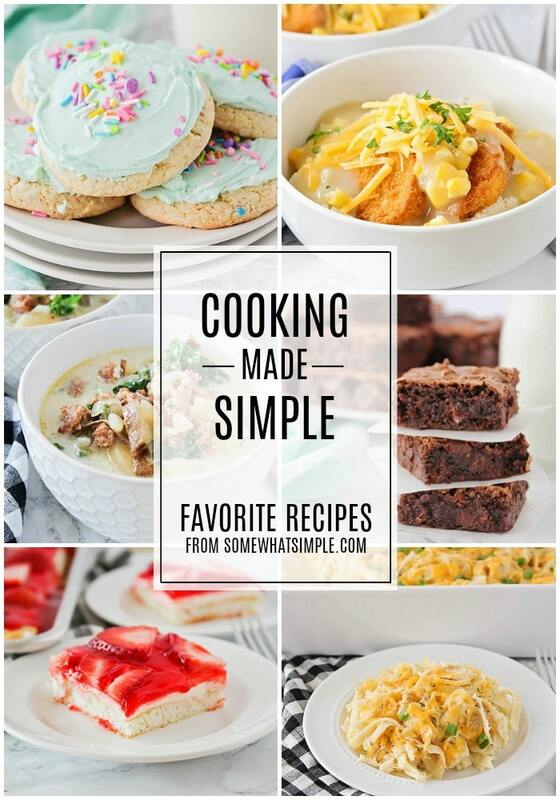 You might call it simple, but it is also beautiful and delicious looking! Thank you for sharing at Celebrate It! When do you add the egg? And can you use milk instead of cream? Sorry about that! The egg is beaten and brushed on the biscuits before baking. I will work on updating the recipe. You could definitely replace the cream with milk or buttermilk.